I have spent the morning sorting and sowing seeds. 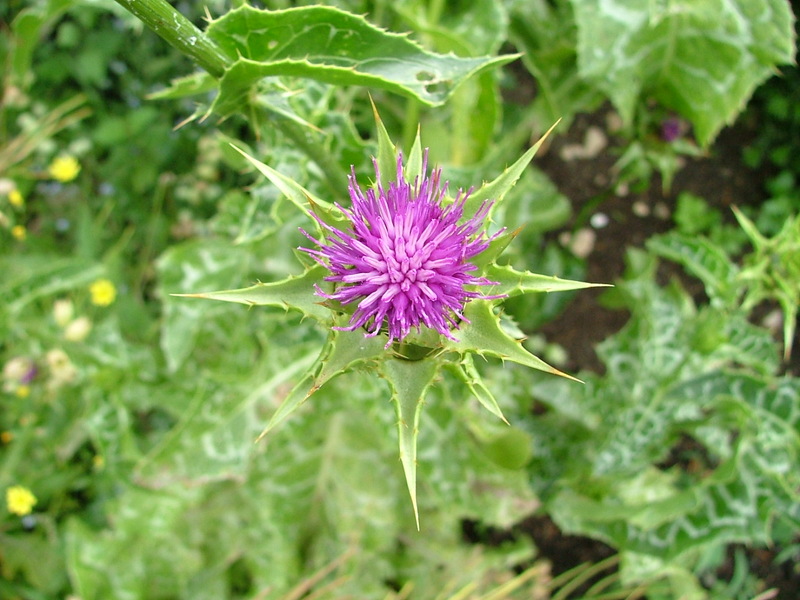 My least favourite job was removing the seeds from the very prickly heads of the Milk thistle, Silybum marianum, as it means getting pricked and cut hands. I always start the thistle indoors as the slugs adore it and happily much the new growth before I spot it myself. I don’t like using slug pellets so under cover is the safest option. I have sown my last remaining seed for the Fuller’s Teasel. Fingers crossed that it is still viable as there are no plants surviving from last year and the seed is not that easy to replace. I have also sown early and modern vegetable seeds. I always sow purslane as the pigeons don’t seem to like it so I am saved the trouble of netting the plants. Personally i would shoot the pigeons, but that is not so easy with close neighbours who would complain. One has to try to keep the peace. I am growing Asparagus Pea again this year. It failed completely last year, probably because of the cold and wet weather. I am growing both watercress and American land cress. American land cress is a perennial and survives most winters. It also seeds around so once you have it you will never be without it again. I have never tried watercress before, but I thought there was no harm trying. For plant displays I have potted up some of the Ground Elder that I had weeded out of the garden only yesterday. This may seem rather perverse to experienced gardeners, but many non-gardeners do not recognise the plant and I think as a public duty I should let them know what it looks like. I once read that the variegated form was not so invasive and that may well be, yet it soon reverted and took over half the garden. One mistake that I shall not make again. There is a story that Geoff Hamilton once crucified Ground Elder roots on his potting shed door for several weeks and when he planted the roots – they grew! The story may not be true, but I can believe the truth of it. I have planted some wild garlic bulbs in a spare patch of land beneath the apple tree, the nearest that I have to woodland. I use the fresh leaves in salads. I have heard that it was sold in London as a soup a few years ago. The plant spreads fairly rapidly, but at least it is easy to weed out. 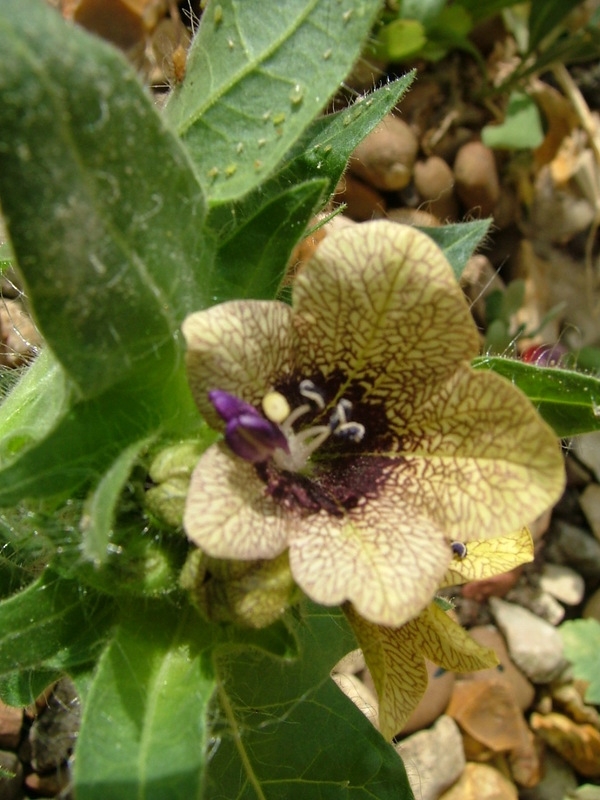 One batch of seed is more unusual; I have sown henbane, a poisonous plant that it is better not to grow if you have children in the garden, but I like the brilliant violet anthers and the veining of the petals. All I need now is some sunshine to warm the compost and help my seeds to germinate. The forecast for the weekend is good and it needs to be as I usually have all my seeds sown and growing by now. It looks as if 2013 is going to be another strange year for gardeners.